Beginner Self-Defense & Combatives at Smash! 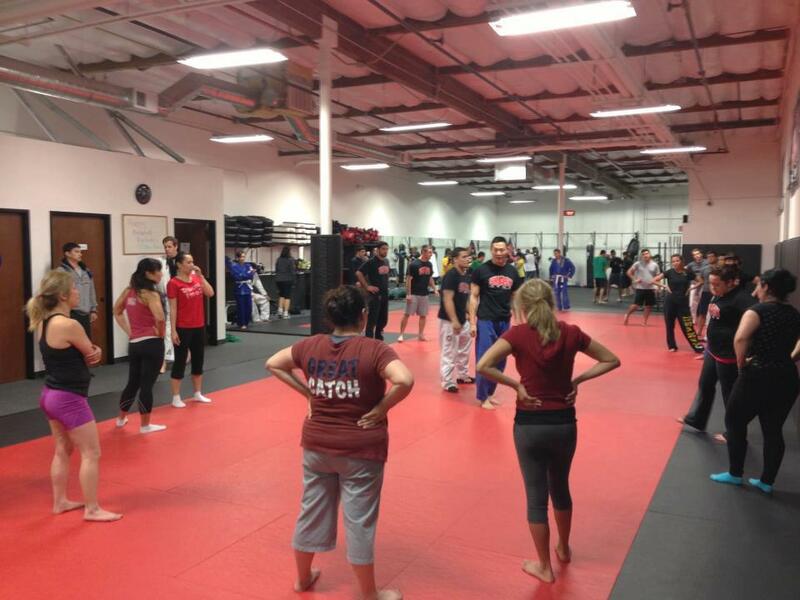 Our new Smashfit-Beginner Self-Defense & Combatives Class was a hit! This class is designed for people with absolutely no martial arts experience and those interested in learning how to use Jiu-Jitsu technique for self-defense rather than sport. This is a no gi class. Jiu-Jitsu Combatives is the base for the US ARMY Combatives. The techniques taught in this class have been tested over and over again in real life encoutners. The reason why the US Army adopted this curriculum as their base is because you are able to safely test them at full force to show the effectiveness. Our instructors have a deep technical knowledge of body mechanics and leverage so these techniques can work on anyone regardless of size or strength difference. 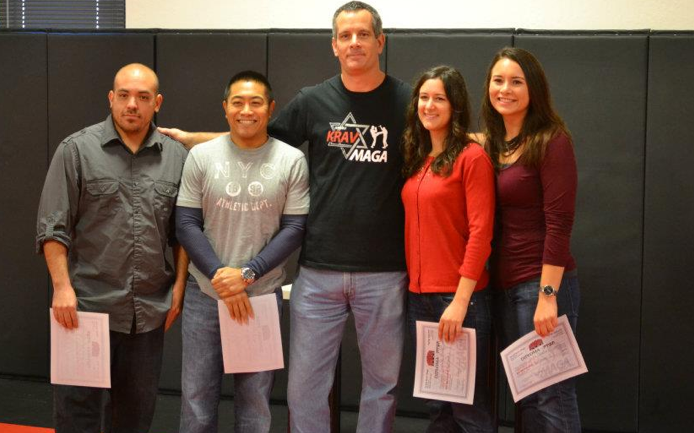 Jiu-Jitsu combatives were designed for smaller and weaker people to safely control bigger and stronger people. The US Army and various Law Enforcement Agencies have recognized this and now seek our Jiu-Jitsu instruction for unarmed combat. In this beginner friendly class, there is NO live sparring in which people will be really trying to punch or submit beginners. Students will be able to learn jiu-jitsu combatives and self-defense techniques in a non-competitive introductory class that has been designed for all fitness and skill levels. All technique taught can be applied easily regardless of body type or athleticism. While knowledge of Brazilian Jiu-jitsu can be invaluable for everyone, when it comes to self-defense, it is especially important for women! When a woman is attacked, the typical attacker isn’t trying to box or kickbox her. While a few strikes may be involved, an larger and stronger attacker will often grab a woman and attempt to manhandle and control her until he is in a dominant position. 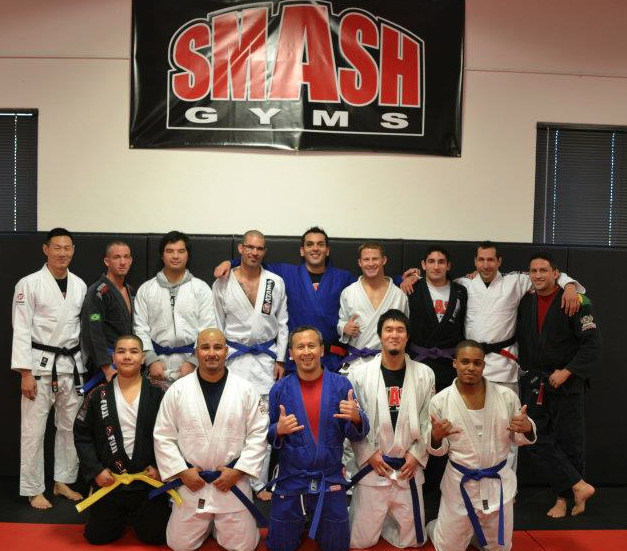 Our Jiu-jitsu program is the ideal solution for that type of situation. The Smash Gyms Instructors have strong focus on safety at all times. Students will train with like-minded partners they are comfortable working with in a structured, cooperative, and fun learning environment. Feel free to jump in and try it out! On a historical side note for those who may not know, Brazilian Jiu-jitsu was originally designed for streetfighting and the sport evolved from that. The point system in sport BJJ is based on what was considered the most dominant positions from which to control and submit or strike an opponent in a streetfight. Back in the early 90’s, before the UFC, the early pioneers of Jiu-jitsu in the United States made a name for themselves from challenging other styles. These challenge matches were true no holds barred fights with no gloves or any protective gear in which everything was allowed and nothing was off limits- punches, kicks, knees headbutts, elbow, groins strikes, etc…. Now, with the growth of modern MMA, BJJ works along side other martial arts. It wasn’t like this back in the early 90’s. It was BJJ vs. everyone else. The Gracie family had their “Gracie Challenge”, but this challenge was adopted by literally every Brazilian jiu-jitsu practitioner regardless of belt color who came to the US. There was no concept of advertising and promotion in BJJ as we know today. They got their name out simply from put out challenges and showcasing their style in actual combat.